Used cars are the way to go for most American buyers. Around 40 million a year, in fact, considerably more than twice the number of new cars sold each year. But picking out the best used cars to buy right now usually isn’t easy if you want one that’s reliable, affordable and equipped with desirable electronic and safety features. There are hundreds of models from which to choose each year. Go back 10 years and we’re talking about, well, a lot. To help make your life (and shopping) a little easier, we consulted U.S. News and World Report’s listings of great used cars to buy right now. Chances are that somewhere in these listings you will find an affordable, reliable used car, truck, SUV or minivan to buy – the best value for your lifestyle. U.S. News and World Report gets down to the nitty gritty with rankings in 89 price/segment groupings from under $10,000 to vehicles costing $30,000, $40,000, $50,000 and up. These include 48 car groupings, 35 for SUVs, four for trucks and two for minivans. The vehicle rankings are based on U.S. News’ 10-point grading scale. The five highest-ranking vehicles, scoring eight-plus of a possible 10 points, are the Buick Encore 2013 and 2014, MINI Cooper Countryman 2013, FIAT 500X 2016 and Chevrolet Trax 2015. The five highest-ranking vehicles, scoring nine or better, are the Honda CR-V 2010 and 2011, GMC Terrain 2012 and Toyota RAV-4 2010 and 2012, while nearly 50 scored eight or better. The nine highest-ranking crossovers, scoring at least nine of a possible 10 points, are the GMC Terrain 2012, Saturn Outlook 2009, Honda CR-V 2010 and 2011, Toyota RAV4 2010 and 2012, Toyota Venza 2009 and 2010 and Nissan Murano 2009, while more than 80 scored eight or better. The two highest-ranking by scoring at least nine of 10 are the Saturn Outlook 2009 and Nissan Murano 2009, while 36 vehicles scored at least eight points. The five highest-ranking vehicles, scoring at least eight points, are the Buick Enclave 2012, Toyota 4Runner 2009, Chevrolet Traverse 2012, Ford Flex 2012 and Mazda CX-9 2012. U.S. News also ranks vehicles in each segment by year since 2009. Armed with some of the best information available on used cars, you’re ready to shop local dealerships for the vehicles you want to test drive and the one you ultimately may purchase. Finding the right used vehicle still may be a challenge, but now it’s one you are prepared to meet. Or, for more help, see our infographic How I would shop for a used car (or new). 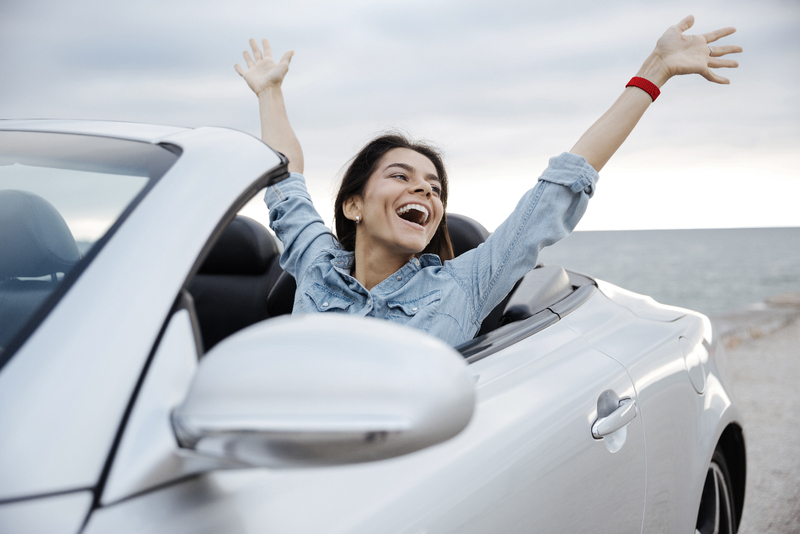 And if you’re planning to shop for one of the best cars to buy used and need financing, learn more about preapproved vehicle financing with RoadLoans, a product of Santander Consumer USA.